I’m trying out some new veggies this week, thanks to our CSA…acorn and spaghetti squash to be exact. I haven’t been having much luck with the lettuces that we have received over the past couple of weeks, however; they tend to wilt very quickly and I’ve had to throw them out. I’ll be sure to let you know how the squash turned out. 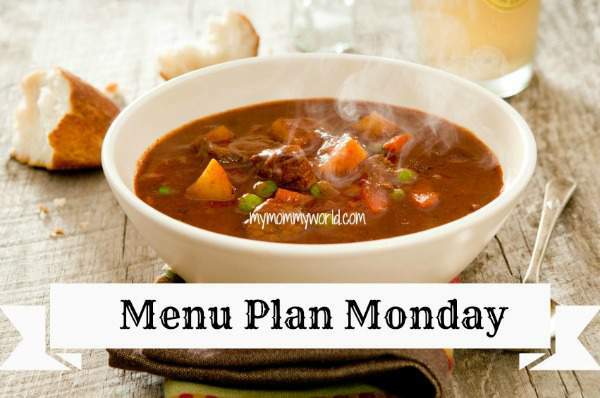 For more ideas for your own menu plan, head over and check out Org Junkie’s Menu Plan Monday link-up! I have an acorn squash on my counter right now. I think we will roast it with brown sugar and butter. They turn out so good and everyone in our family, except my husband loves squash. We haven’t tried spaghetti squash before, You’ll have to share how your family likes it. Your menu looks good, Erin. We received delicata squash from our CSA last week, and honestly, I’d never seen this kind before. 🙂 A quick look on pinterest, and I think I’ll be fine. There are lots of recipes there, and I’m hoping to bake the squash one way or another in the oven tomorrow.